An epidemic is sweeping XR. Patient Zero has yet to be identified but this 2015 documentation shows early signs. This disease, now known as Interface Elephantitis, is known to be highly infectious. We even believe it jumped into XR from a completely different species of UX: smart phones. 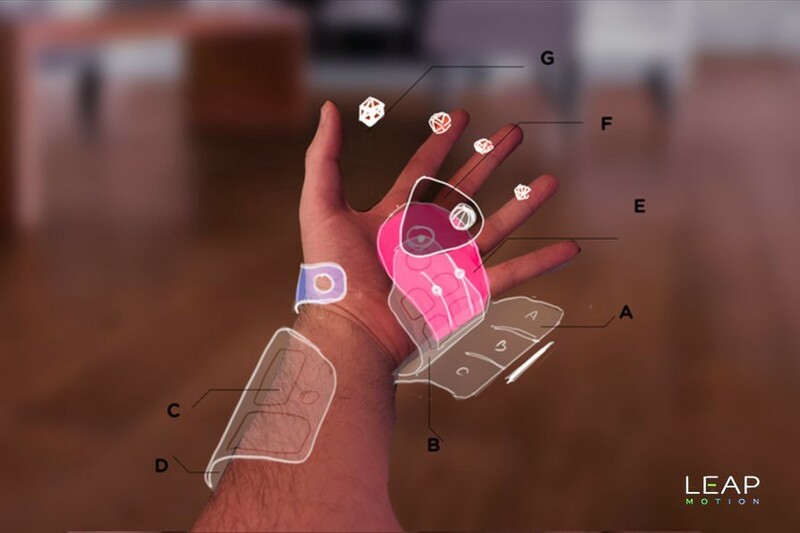 Seen here in 2018 in its equally virulent AR form, Interface Elephantitis, has now been observed spreading to a shocking number of XR programs leaving the non-dominant hand of users passively encrusted with menus and buttons. 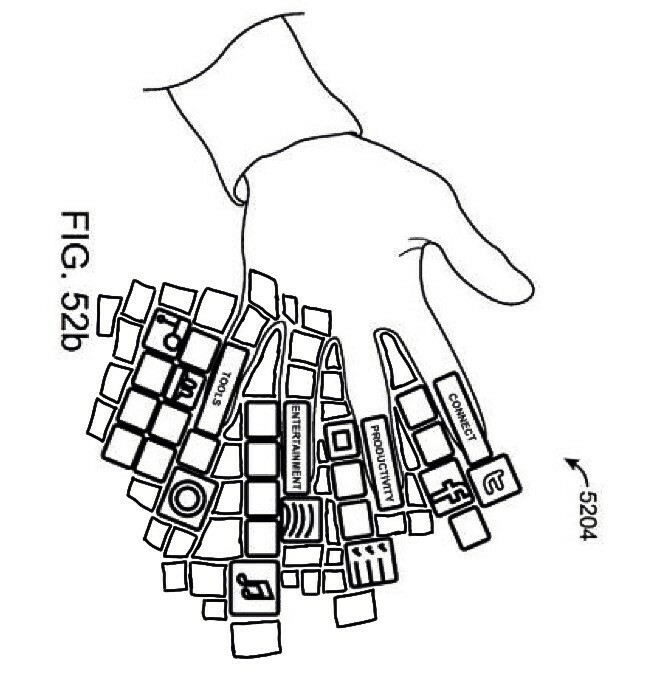 We are basically taping phones to peoples hands in XR and calling it innovation. This is an emergency! We here at the department of BlinkPopShift send thoughts and prayers to the victims as we work diligently on a cure. Behind those buttons lay beautiful highly evolved hands capable of everything from massage and ceramics, to concert violin and brain surgery and we will not rest while this horrible disease continues to spread. Speak out! Use your voice to bring change into your XR world. Colors, tools, scenes, palettes, call them forth to do your bidding. Don’t let XR silence you! Not all functionality need to exist crammed in at the same scale! Use 💍wearable, 🔨holdable, and 🏡habitable scale guidelines I laid out in this post to sort what actions need to be accessible to users when and at what scale. Too hard. Didn't click? Instead of just plastering all the UX on a users hand sort functionalities by the context in which the user needs them. A small number of quickly accessed but low interactivity things can be stored on the avatar but for functionalities with greater power and complexity they move off the body to become tools, work stations, and whole spaces. Maybe your tool has distinct phases like writing, editing, and publishing. Having all the UX for publishing visible while I am just trying to jot down my first thoughts for this post is distracting and increases my cognitive load both by making me exert willpower to ignore interface I don't currently need and by taxing my visual cortex which is expected sort through every button. 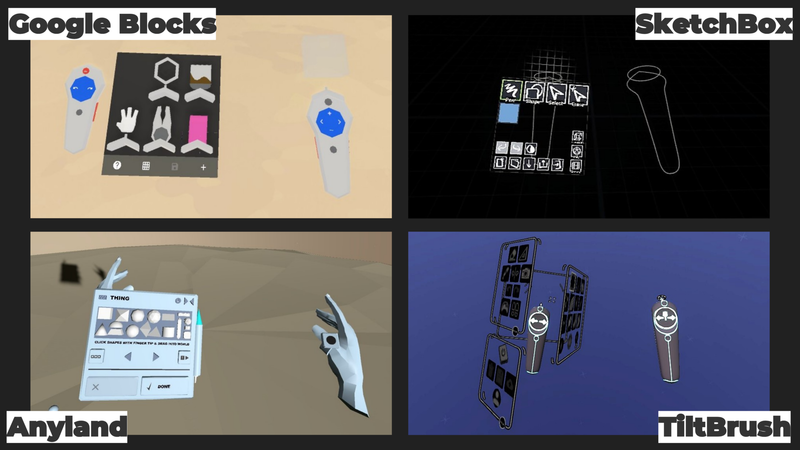 Chunking UX into parts I can store away in pockets on my avatar lets me choose which parts I use in which parts of my process. This will also move some of the mastery for the tool into my muscle memory and customize my process. Be on the look out for Interface Elephantitis! Artist-Researcher @ Microsoft OCTO working at the forefront of embodied interfaces and art based research.